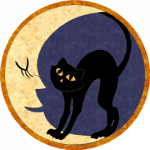 Seven little kitty cats doing their usual thing! 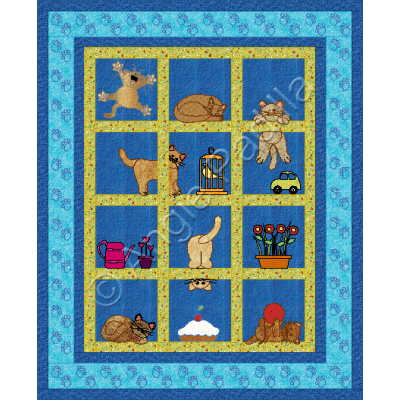 This is a great lap quilt for any cat lover, young and old! Finished size: 62 x 72"
It seems that most quilters are pet lovers, and many of us are owned by cats. Here's a "lov.. 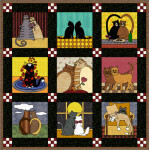 Pieced background blocks are the perfect setting for these whimsical cats in love. This project is a.. 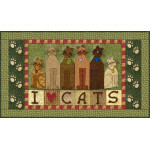 Announce your affection for your feline friends with this fun, easy project! 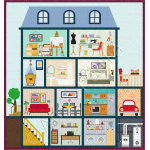 Use your favorite color.. 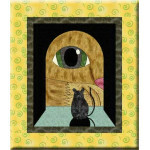 Here's a whimsical scene for you, sure to bring smiles! The larger pieces in this little wallhangi..